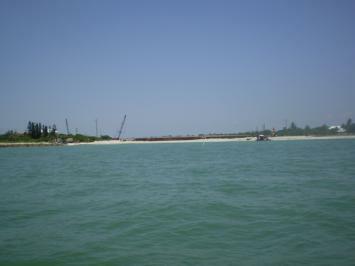 The Blind Pass maintenance dredging project began June 18th. Approximately 120,000 cubic yards of sand are slated to be dredged from the pass and used to re-nourish the eroding shoreline at the western end of Bowman's Beach. Fishing from the bridge is prohibited during the maintenance dredge, which should take about 65 days. I'll keep you posted as the project proceeds!